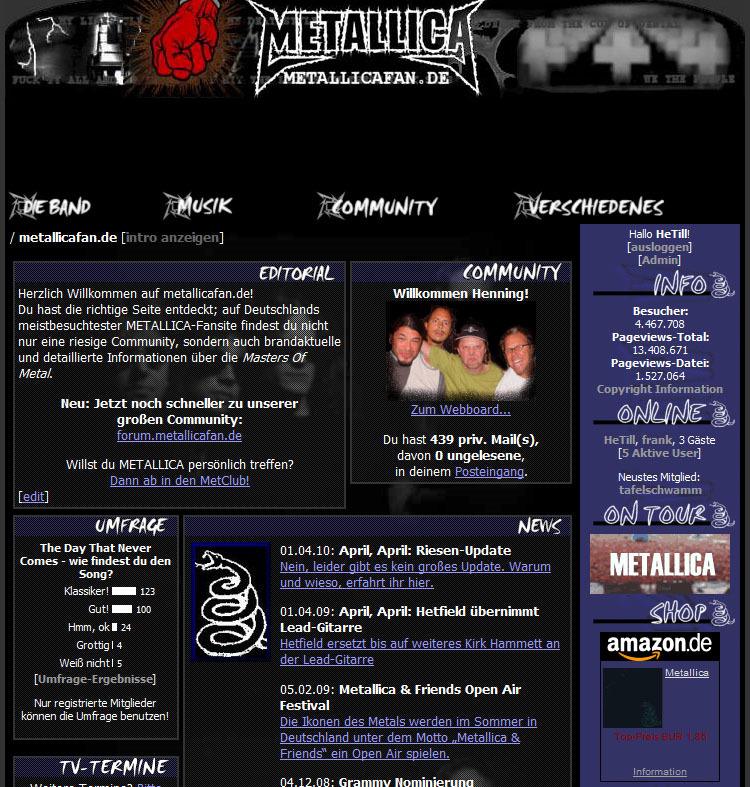 I was the webmaster of Germany’s most visited Metallica fansite from 2000 until 2010. 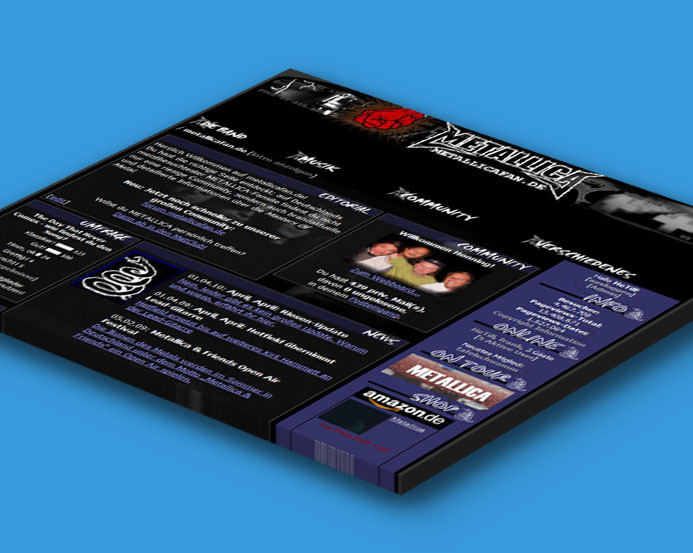 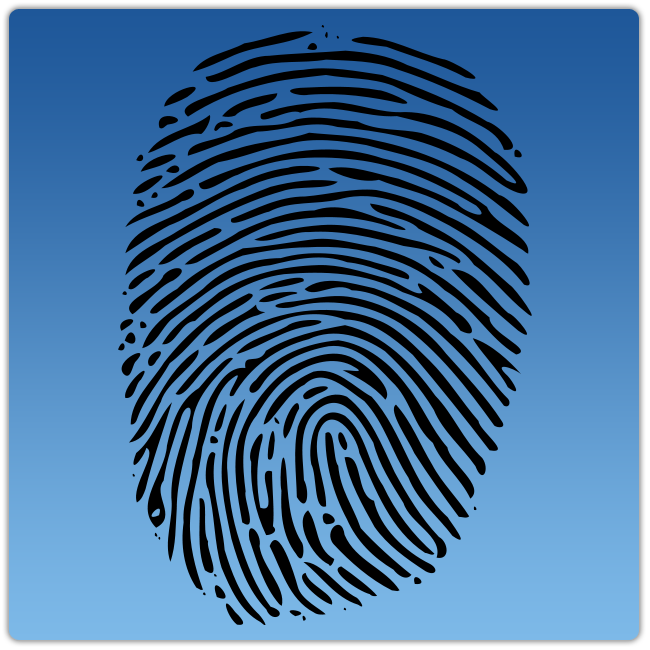 2002, at the age of 17, I developed a content management system with user management, user generated content, etc. 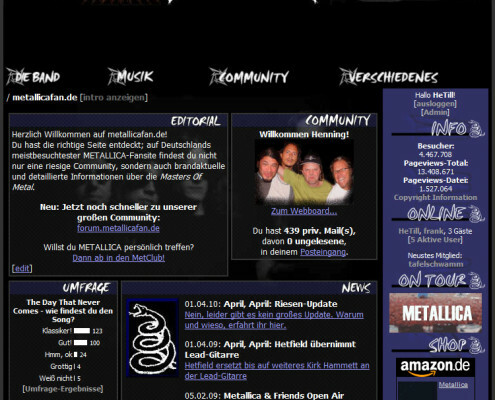 The website had a huge community with discussion board (more than 170.000 posts) and more than 5 million visitors.